You have a heart of gold and are likely to blog for a cause. I would like to thank my online friends supported my EC and dropped here in my blogs!!!! BIG HEART FOR ALL OF YOU FOLKS!!! I'm a person who don't eat usually a breakfast, just a cup of coffee and that's all. But i noticed that during lunchtime i ate more than enough for me. 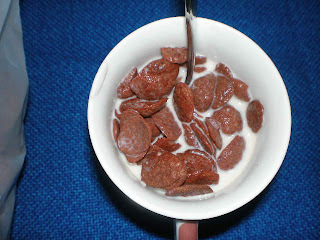 So as to avoid it i tried now to eat at least a bread or a cereals with milk. As they say that our body need breakfast to break the longer hour from sleep we need to deposit an energy before we go to work. Tolerant and inspirational, you are wise beyond your years. You are universally sympathetic and a great humanitarian. Last week we have an appointment to our Doctor, from our house we need to drive to there at least 1.5 hrs just to reach the clinic. We pass through the Highway directly to Cologne. As we drive all the way my husband played CD one of his favorite group the Abba, me too i love to listen to their music not a boring one. While continues driving i observed that my husband talked alone and said angry words.. because of some driver drives crazy in the highway and some don't follow the right speed we are on the free high way my husband drive to the speed he want that brings my nerved to death but he can handle how to drive for that speed. Some cars from Netherlands drive only 120 maybe because in Netherlands 120 is the maximum allowed limit (if im not mistaken) while here in Germany when you be in the free way you can drive until u want but you need to be watchful for those who are driving crazy around- those are not the one followed the speed limit for example its says 100 they drive 120..and when they be in free way they drive less than 100..its goes crazy right?.! When it comes to music all of us dream to own our favorite titles. Like me I really love music while its brings me tranquility. As a matter of fact i can't sleep without music or when i was a student i can't study without music around. So music is such a big deal for me, not only me but for those young one's specially most of them have an mp3 player or through handy they can enjoy their favorite music. Music is life they give us inspiration specially when we are down. When we driving around i see to it i have my favorite Cd's playing in the car while travelling i feel relaxing to it . Listening music lift my mode and bring my selves refreshing. Now a days listening music is not hard as the old time because of our new Technology you can listen and buy online your favorite Cd or musics music shop online offers for Free to listen before you decide to buy the said Cd's. They have more choices of quality Cd's. From latest release album to love song, hard rock, country music and many more. Like for example i love to listen the music sang by Josh Groban i found it here, its a good idea make a test before you decide to buy. You can order it through online in your convenient way of time. This is a big help to those people who loves music and wanted to go shopping but don't find a time to go out music shop is a big help and the answer to your problem. Through this mp3 and home audio you can choice what types of gadgets you want that fits to your needs. It's a great site to visit they give away cool prizes to be winning and give away a signed memorabilia. They offer a free shipping for your choice ordered items. You can save your money and time through their shop online. 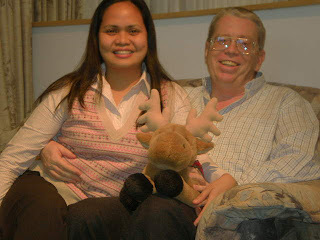 I remember when I'm still in the Philippines my husband live here in Germany he ordered a Cd's online and they delivered it to me because of our distance we enjoy the convenient of online shopping. Last night we go out to buy a medicine for aquarium just to save some fishes from bacteria. When we found all the stuff for the aquirium , we went to the favorite department of my husband the garden center we found a new and more orchids displayed. As a normal reactions we bought again new. Even myself, I amazed for the color the combination of Lila and white. 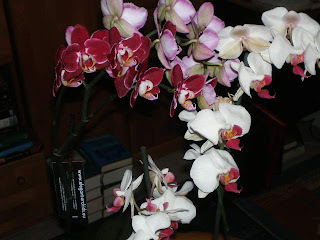 As my husband know that I love Lila since then, from purple, lavender ,violet , or whatsoever any shades of this color I really admired, he bought me my orchids as the same time my color. Why I love this kind of color ? I based it from my name when I heard somebody called me by my name I illustrated in my mind the wonderful color of lavender, Lila ,violet or purple. I dont know if this thing happen also to you, if you heared or read 1 word there's a character draw in your mind. Most of us nowadays are busy in our daily routine from work, family and other things that occupied us. Sometimes we forgot the days flies fast we just focus on our work and the day to day basis. I think we much better to put an organizer for everyday event in our life the daily activities and specially the activities from our family is the most important to give time, while those activities is just once in a year like a birthday of your Husband, children and you. Your wedding anniversary is also a big occasion to celebrate. This is the day for the couple to give something to each other most of the couple forget these days because of many things to do and their minds are occupied of everyday task. But its not too late to buy something worth memorable if you don't have time to go buy anniversary gifts to the mall. Shopping online is most convenient way to buy and select the things you wanted. And about the price you be surely you can have more choices to choice from it depends on your budget. Not only for our family but for our friends around. Christmas gift Is for everybody we all celebrated and received a gift during this celebration. Christmas is just around the corner this is the day where all the people are so busy to buy their own gifts.What did you do when you have a big celebrations in the family but you have a rush meeting or a Seminar far from home? This things get us weird isn't?. You cannot go shopping because of the hectic scheduled that pushed you to work and work. Even though you wanted to go around to look for something special for your Husband and children and friends. But for all these things we got a solution now a days what is the work of our high technology to shop at home. Through our Internet special gifts for special someone is just one click you can have it. Like my husband he is an avid fan of online buying which feel me surprised. Yes surprises is good for our feelings because we thinking that our love ones don't remember our special days in our life but they can a gifts for all occasion was a best ideas for all who wanted to make a surprise too.It's so possible for us not to let the days without giving something to our beloved. The Shop online can give and offer the online shopper everything they're looking. For sure this is a big saving for your time and budget. We can do it by our own comfort or where ever we are at home or during the break in the office we can browse the net and order those gifts. Another comfort to shop online was they deliver those things you bought directly to your provided address. Almost everyday we go out with my mother in law just to eat piece of cake and drink coffee. 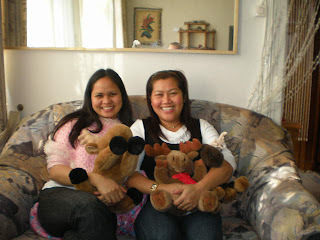 From then on we meet the Lady name Mai at first i thought she is a Filipina but i was wrong. She is like a Filipina but she's from Thailand , yes Mai is a thailander but her attitude is like a filipina too. So, My mother in law asked "Kommst du aus Philippinen" are you from the Philippines? And Mai answer Nein ich bin aus Thailand..Ohh ,,,im thinking that she is a real Filipina. And i asked her too if she work at that Bakery she answer me nicely, yeah but my husband is the owner of this Bakery. OHH wow...so simple lady but down to earth attitude... She is nice and Friendly which i fond of to one person. "hindi mayabang" although she is the boss from that shop. We know Mai for almost a year now and my Mother in law imake a surprised for me- my Visitor one of my down to earth friend i found around my place MAi. It's nice to celebrate birthday and our wedding anniversarry with a friend and close family. Since my biological family is so far away and my husband family is just my mother in law. We celebrated only by us three. November is my important month not only this is the month were i got celebrated my Birthday, but this is the month that i got married. Also the month for separation to my country. I called it 3 in 1 month. Yesterday is my Birthday , Tomorrow is our 3rd yr wedding anniversary and next week is my 2ND yr here in Germany. Time flies fast i can't imagine that i got married for 3 years now. Did you think i got married the right person?...Ob course yes.::.. Let me share this with you. EVERY relationship has a cycle. In the beginning, you fell in love with your spouse. You anticipated their call, wanted their touch, and liked their idiosyncrasies. Falling in love with your spouse wasn't hard. In fact, it was a completely natural and spontaneous experience. You didn't have to DO anything. That's why it's called 'falling' in love... because it's happening to YOU. People in love sometimes say, 'I was swept off my feet.' Think about the imagery of that . . . expression. It implies that you were just standing there; doing nothing and then something came along and happened to YOU. Falling in love is easy. It's a passive and spontaneous experience. The Key to succeeding marriage is not Finding the right person. Its learning the person to love YOU found. You can't find lasting love You have to make it day in day out. That's why we have the expression the LABOR OF LOVE. Because it takes time , effort , patience and energy. HAPPY ANNIVERSARY MY MICKY MAUS!!! Our food that we eat might cause an allergy, last night after i ate my favorite spinach and dried fish i feel something burning all my body. I had again my favorite visitor - allergy. (whew).. Itchy that you could understand where came from. I couldn't sleep good just to scratch all my body. I wake up too early just to eat sugar and honey they say that sweet things can help. Got afraid while my skin is almost red and swell. I suffer also last year from allergy which last up to almost 8 months. My skin was full of reddish spot which feel me bad. My Dr. can't distinguish its causes. One of my doctor said that it might be Physchosomatic allergy - causes of depression. Maybe its a mixing of depression and also the food that i eat. But i think this is cause by Aspirin that i take when my migraine attacking me. Food Allergy is manifested be reddening , swelling and itching of the skin and palate which i feel last night. Its may caused by the foodstuff such as spices and other additives of food preparations. I feel now terrible for scratching , my eyes is also swelling . To all my friends here in my BLOG i accidentally delete my blog roll. Hope i can bring it back Soon! Same as with my CBOX its gone too..
Nowadays insurance is one of the important for us. From life insurance, fire insurance , health insurance and many more. But how we can say that our insurance company is secured from losses or financial distability. Are they there for us when we need their services in return? As i browsed the net I'm pass through this site United American Insurance Company and read about it. I learned from that they are belong to four core values as a sign of reliability of insurance. They dedicate there company to the customer with care. They are there in the market since 1947 with stability, commitment, quality and services for almost 30 consecutive years they earned the financial stability rating and now for almost "very strong" stability Also in a line of life , health and other financial needs products. UA is there to meet the individual insurance needs of its customer.